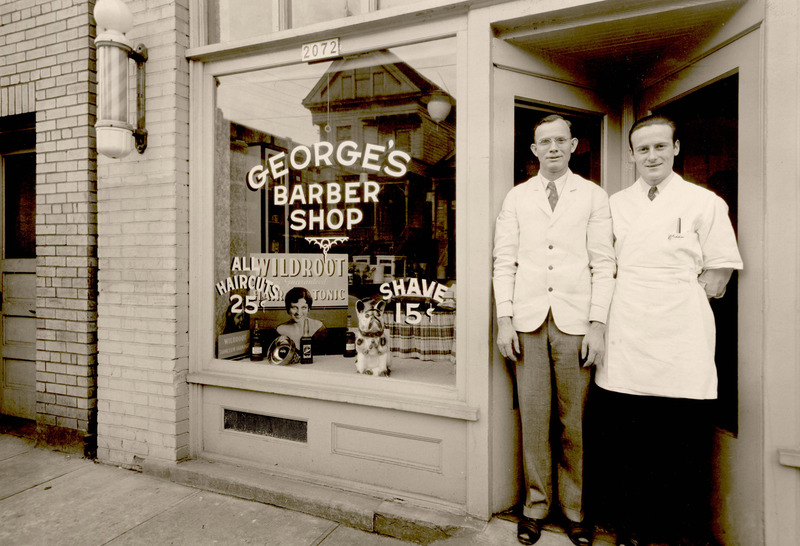 Hard to tell if Webb’s barber shop was in a stand-alone building or if it was a part of the building to the right, which I believe was the 1876 Coulter & Church building. They share some first floor cast-iron pieces but that’s all they have in common. 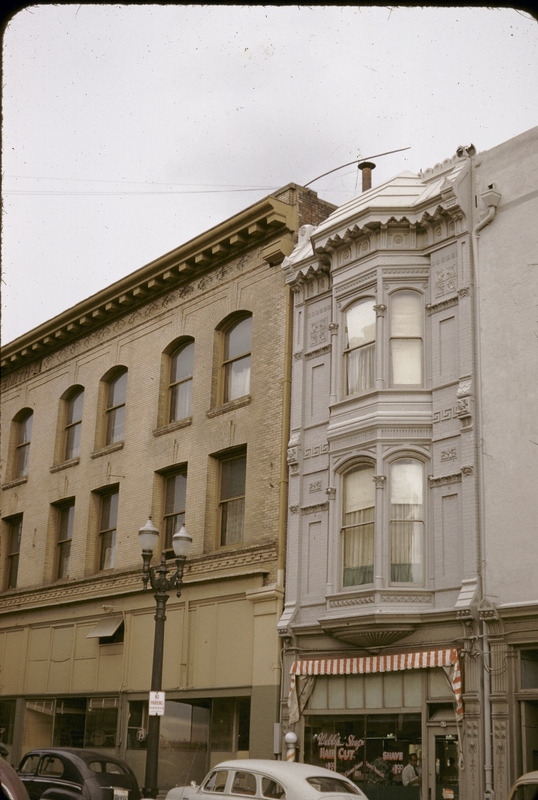 The pretty little building was at 67 SW Morrison, between Front and 1st Avenue, in this 1959 photo.